The Pilates Design Studio opened in Watchung in November 2011 and the fully-equipped studio offers Pilates for fitness and rehabilitation for all age groups and physical abilities. Additionally, the Johnston Drive studio is the only place in New Jersey that offers BioCored: System of Corrective Movement, a neural science-based, multi-weighted bungee cord suspension system that incorporates neuroplasticity to aid in the rehabilitation process. Pilates is a system of exercises that uses special apparatus designed to improve physical strength, flexibility, and posture, and enhance mental awareness and Pilates Design Studio offers one-hour, one-on-one instruction as well as group classes, each customized to fit the individual needs of every client. 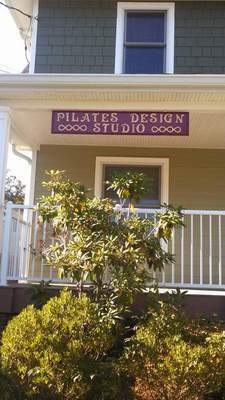 Pilates Design Studio, located at 7 Johnston Drive in Watchung (near the Watchung Circle), is open seven-days a week and was recently named the New Jersey host site for Body Arts and Science International, one of the various organization’s Conner is certified through in Pilates. In this capacity, licensing and certification courses are taught at the Watchung studio while students are also there completing the hours required to earn their certifications. For scheduling and class times visit http://www.pilatesdesignstudio.com or call (908) 731-5987.